I think one of the things that almost all parents worry about is teaching their children how to read. It can be scary, but also one of the most rewarding. I am sure you can imagine the feeling when you have two children showing interest. I’d say the best word to describe my feeling going into it this year was challenging. 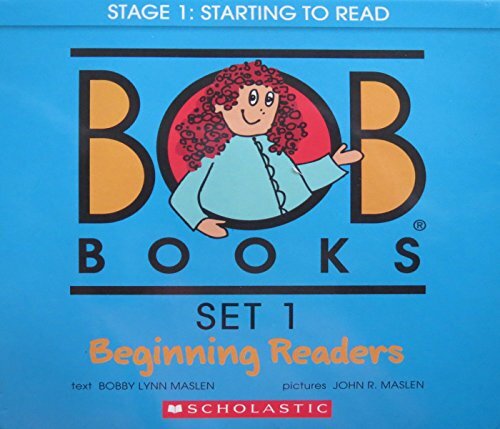 I was excited to get started and excited that my children had a love for books already. 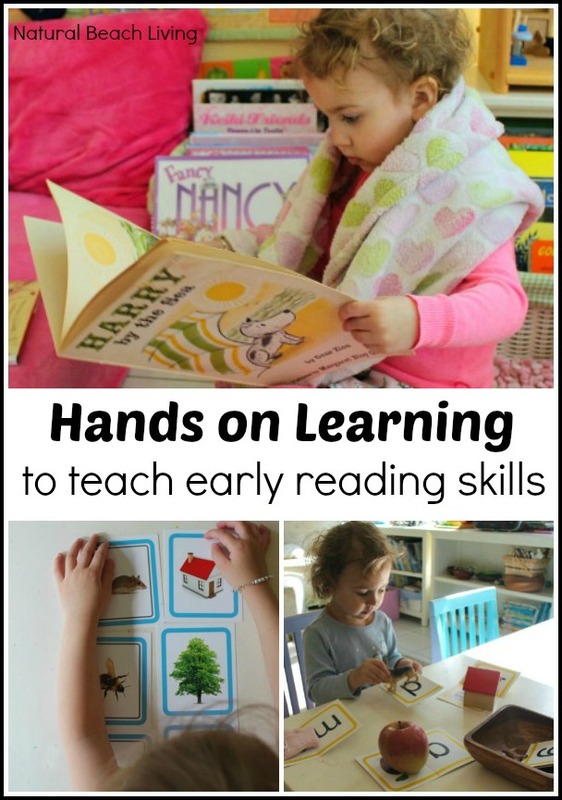 My goal today is to share easy ways for you to teach early reading skills. I love all of the progress we have been making this year, and I can’t wait to share it with you. For Bells we have been working on rhyming words. It is important for children to be able to recognize that there are different sounds and also hear similar sounds. 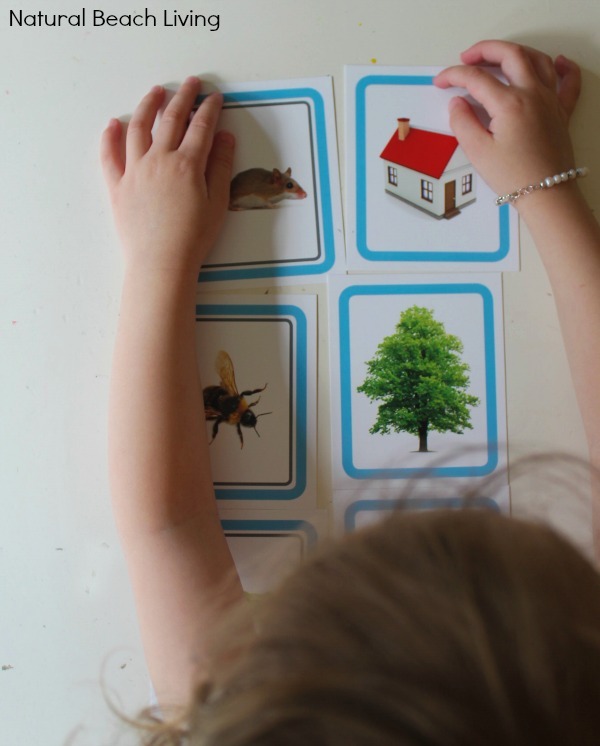 It is good to start with 3-5 pictures or objects and play matching games. 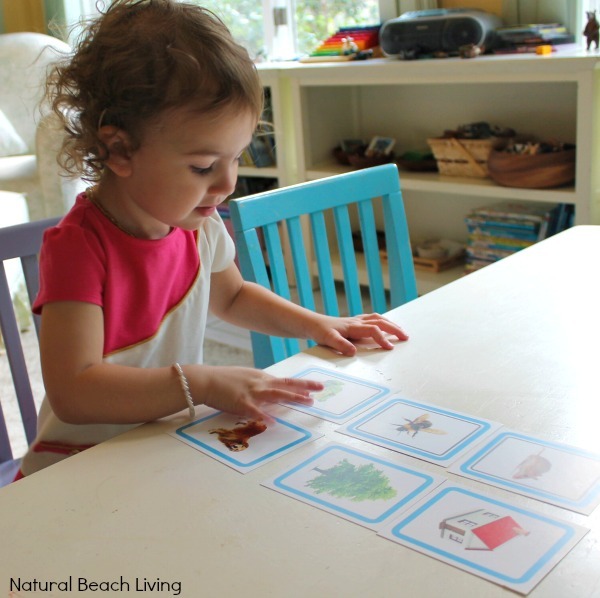 Soon the child will easily be able to place the cards together by saying what the card is and hearing that similar sound. You can teach early reading skills by playing with animals. Place 5 animals on the floor/mat/table and say what it is, stressing the first sound. Example: Sssseal, do this with each animal and you are already helping your child learn those letter sounds. 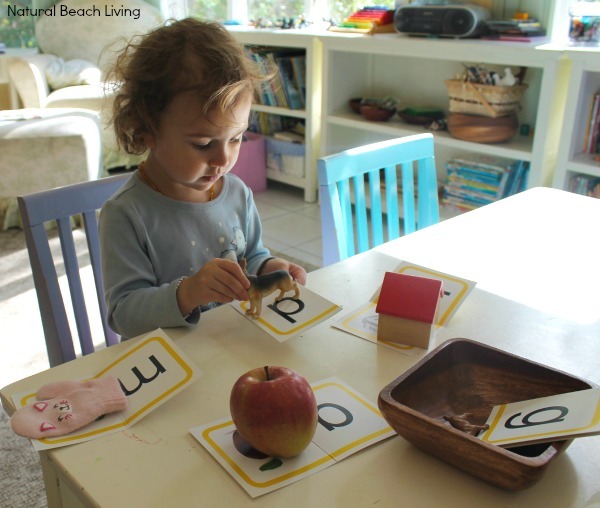 Beginning sounds and blending words is a huge step in helping your child become a great reader. 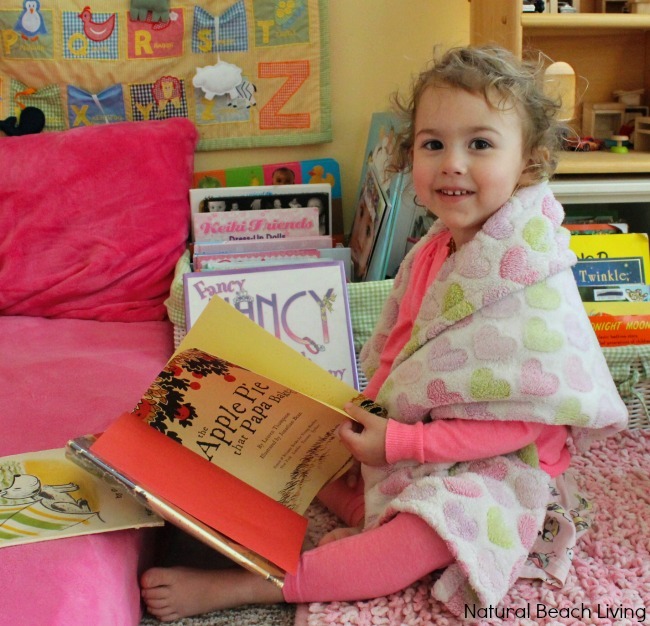 The key to reading success is making sure your child has a strong foundation. 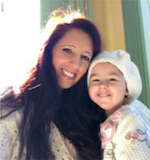 Not forcing them into something before they are ready, but recognizing the early signs and giving them the tools they need to become successful readers. I am all about following your child’s lead. 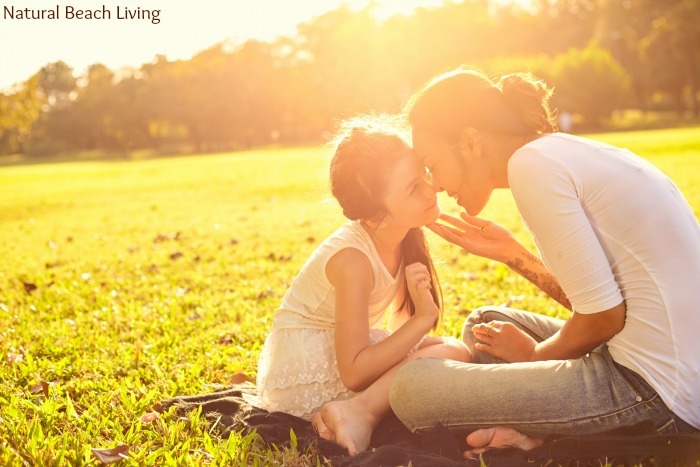 Take the time to assess your child and be able to recognize when it’s good to move on and when you might need more time to really perfect that skill. All About Reading has different levels from Pre-reading on up to a Level 4. Each level also has its own placement test. 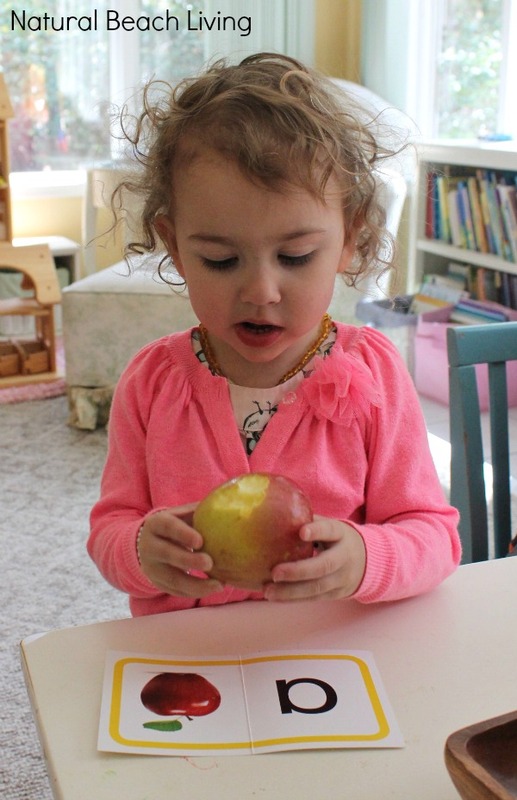 Bells enjoyed eating part of her activity (apple) when she was done. We have been moving along with Little B and his reading is coming along great! Here we are having fun with sight words. 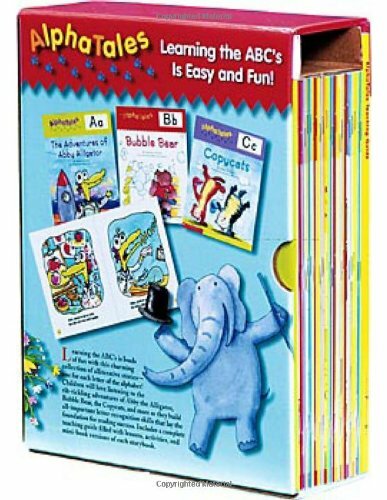 One of the fun games we play is Eye Spy: I put out 3-5 cards at a time and I will say eye spy the word ME. He points to the correct word. 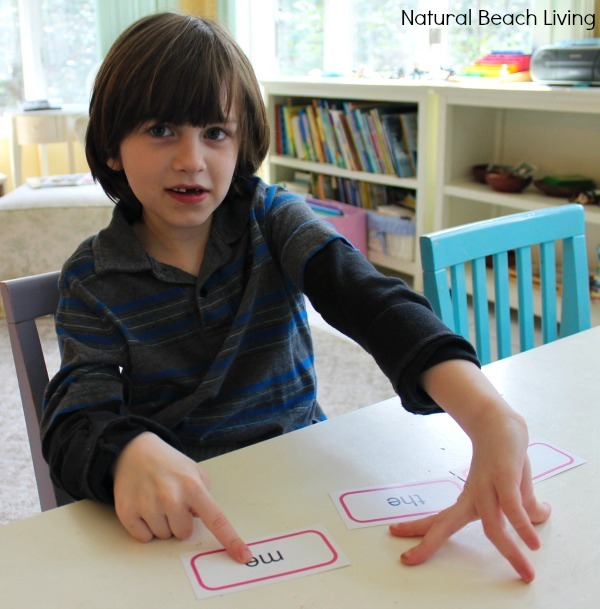 As the child learns more words and gets more confident, slowly make it more challenging. Have 2-3 words that start with the same letter. When you know he isn’t just looking at that beginning letter/sound but actually knows the words, they have mastered those useful words. Yay!!! We have really been enjoying the books that come with All About Reading. Each lesson we read new stories that use words that we’ve already practiced. 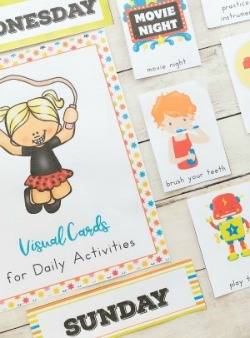 Finishing up each lesson with an activity and stickers makes it even more fun. 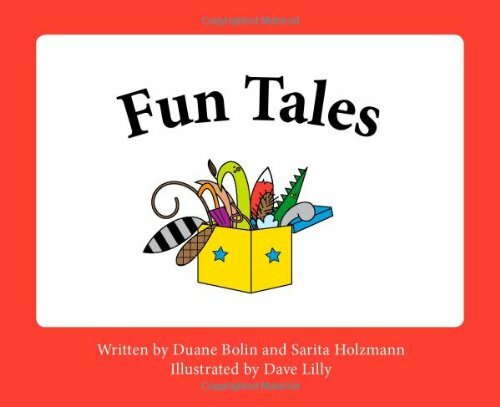 Storytelling and reading great books with your children is such a great way to spend family time. 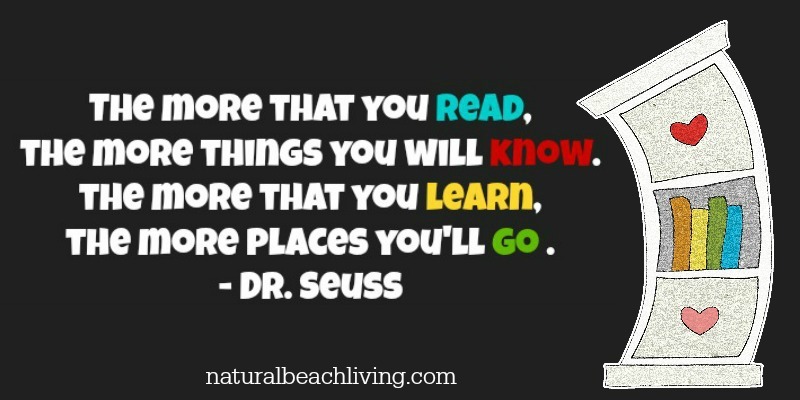 Children love to hear new stories plus reading while cuddling has to be the best activity ever! This week I incorporated two new books The Apple Pie that Papa Baked and Harry the Dirty Dog books. They were awesome! 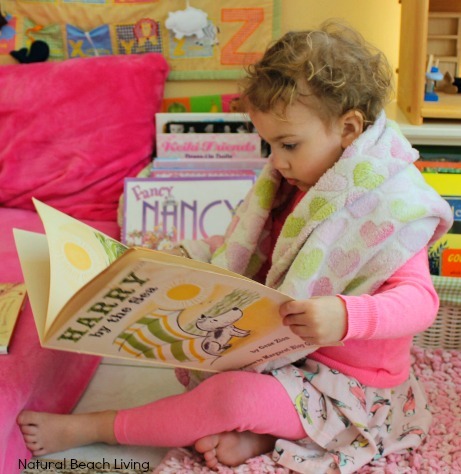 You can find 50 of the best books for Preschoolers here. Sequencing the story and asking your children questions in a conversational way is such a key factor into working on comprehension. 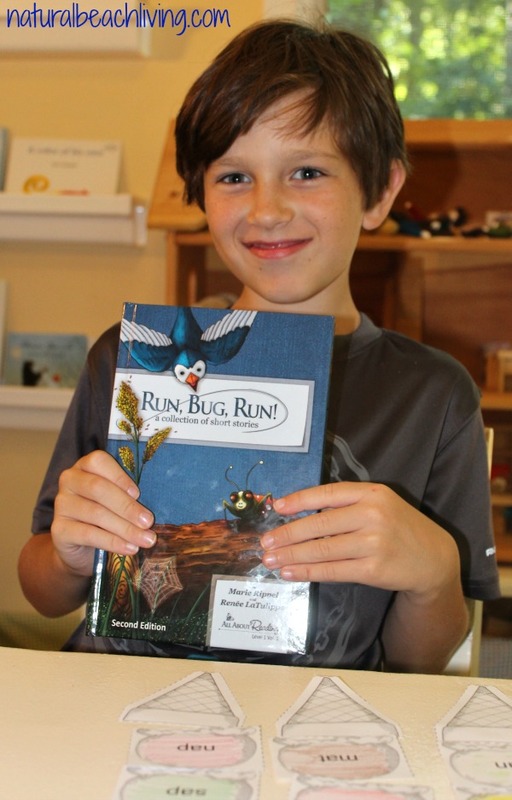 By asking your child questions and talking about the story you are sharing the excitement of the book and helping to paint that picture in their minds. 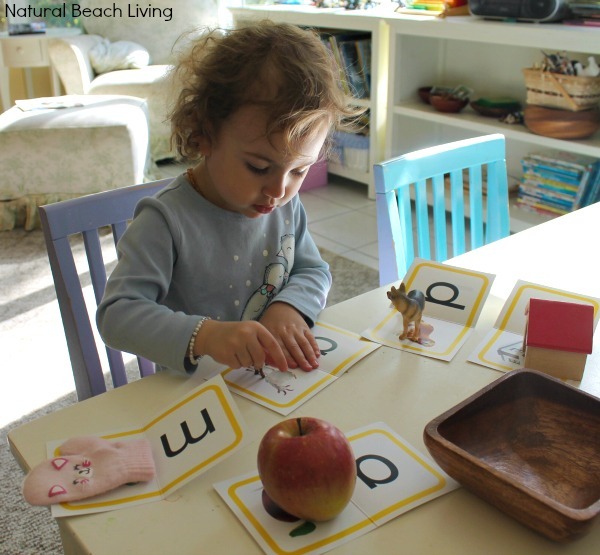 I am so happy to know I am helping my children develop strong alphabet and reading skills. Little B has been reading through all of our 1st reader books and Bells is right behind him. Their desire to play games, work with the activities, and build their reading skills amazes me everyday. This is just a glimpse into our reading adventure. I’m a happy mama with happy kids, and that’s the best feeling ever! You can see our reading journey and learn more here. 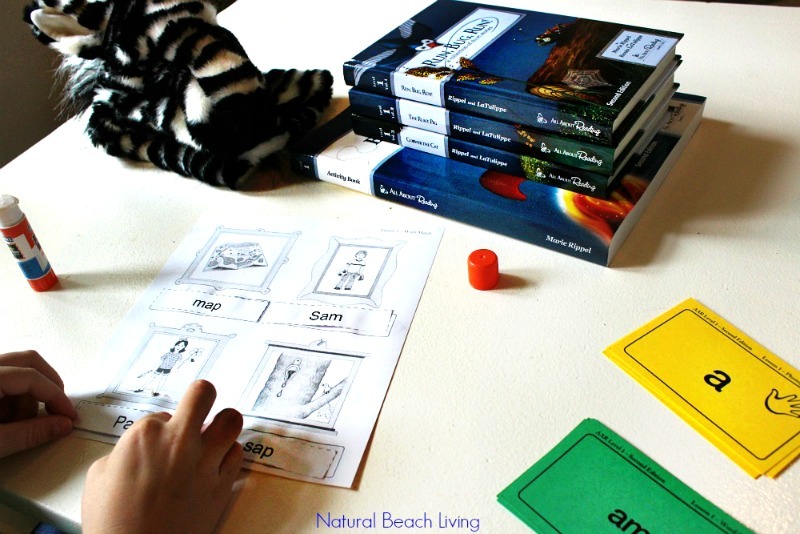 If you are interested in tips for How to Homeschool your Child with Special Needs head over here where I share great resources and what has worked for us. Beautiful images that capture instruction so well. 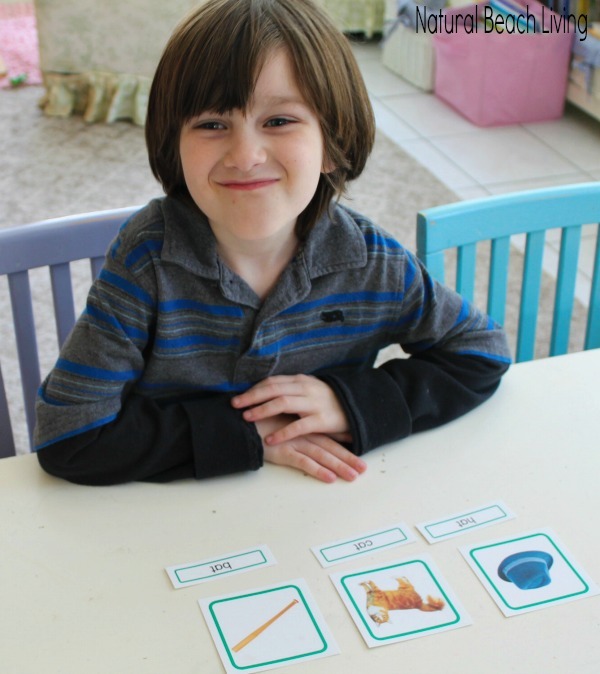 Every child always wants to read when they get to match word cards with objects! So glad I found you. This is just wonderful! Thank you for the great idea. Cool post! Full of great information! This looks wonderful. Thank you for the ideas and great information. I’m glad you liked it. Good luck in your reading journey.